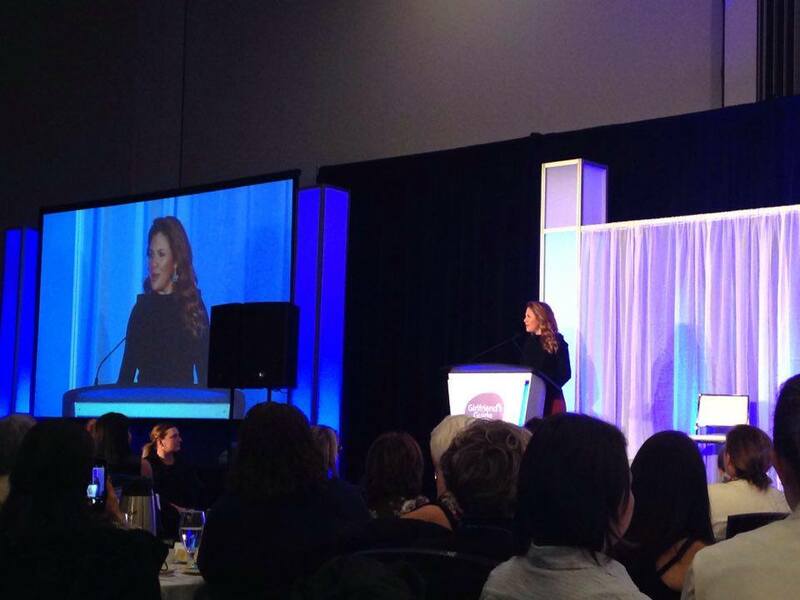 A sold out audience gathered at the Ottawa Conference and Event Centre at the Girlfriends Guide to Mental Health event on Nov. 3, featuring Sophie Grégoire Trudeau addressing her own experiences with mental health. The highly anticipated event was presented by The Royal Ottawa Mental Health Center; a mental health care and academic health science center devoted to creating faster recoveries for those suffering with mental illness. Her quick introduction was followed by the night’s host, Robyn Bresnahan of CBC Ottawa Morning, welcoming the diverse crowd to what was to be a celebratory night for women, and introducing Grégoire Trudeau as the first speaker to the stage. Grégoire Trudeau had already made an earlier entrance that evening, with several guests crowding around her trying to take selfies. But when she appeared on stage to speak about her journey to self-love, all fell silent. The mental health advocate said she has experienced the anxieties of being in a “success-obsessed” culture first hand when she struggled with bulimia. She recalled the fear she had when “coming out” to the public about her eating disorder. As she spoke, Grégoire Trudeau shared stories of the daily struggle of being a mother of three, and incited a laugh when she related politics to mental health. “Not everyone will love you — a lesson in politics,” she said. Touching on several aspects of mental health and well being, Grégoire Trudeau advocated for education and the creation of community. Next to take the stage was Dr. Ameneh Mirzaei, a psychiatrist with the Royals Mood and Anxiety Disorders Program. In a forty-minute presentation, Mirzaei took a theoretical approach to explaining self-esteem and mental illness. The presentation was followed by a question and answer session. The evening ended on a high note with Susan Stewart, a Toronto comedian, who told the audience how important it is to see the lighter side of life. Growing up as an aspiring comedian, Stewart became depressed and withdrew from her usually, positive life. Now recovered, she preaches to audiences through her jokes, asking we doubt the heckler in our head by not identifying with our negative thoughts. Through stories and education, speakers at the Girlfriends Guide to Mental Health event delivered raw truths about mental illness and self-esteem, speaking to the difficult process of truly achieving self-love.